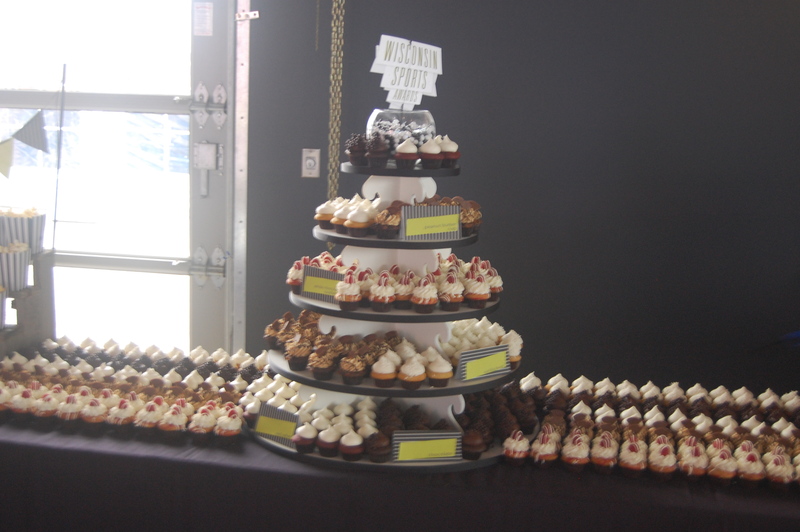 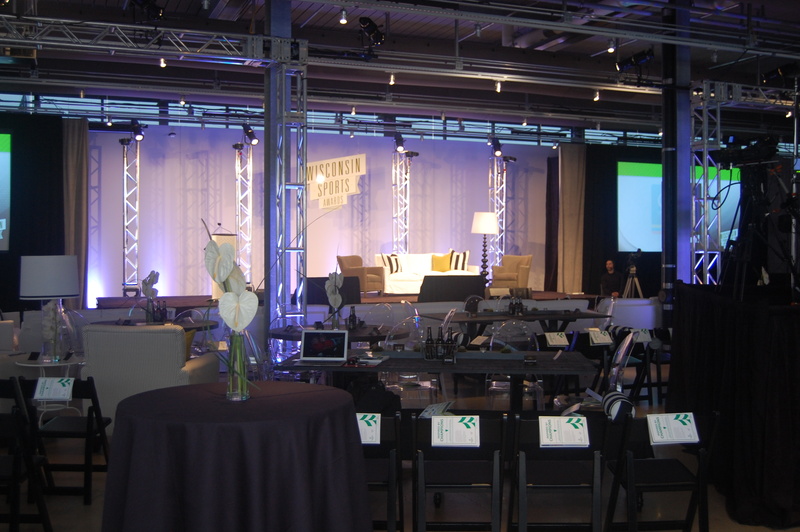 Last week, I had the absolute pleasure of hosting the dessert bar at the Wisconsin Sports Awards at the Harley-Davidson Museum. 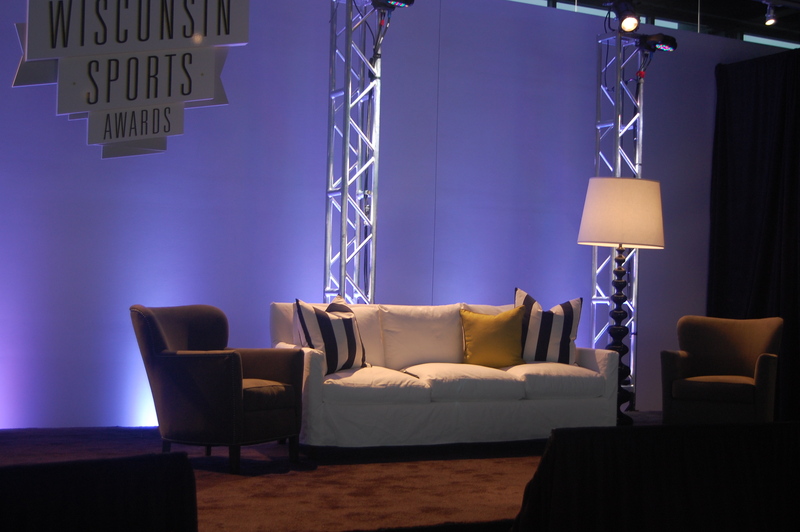 A celebration of Wisconsin high school, collegiate and professional athletes, the Wisconsin Sports Awards boasts big names from Aaron Rodgers to Ryan Braun. 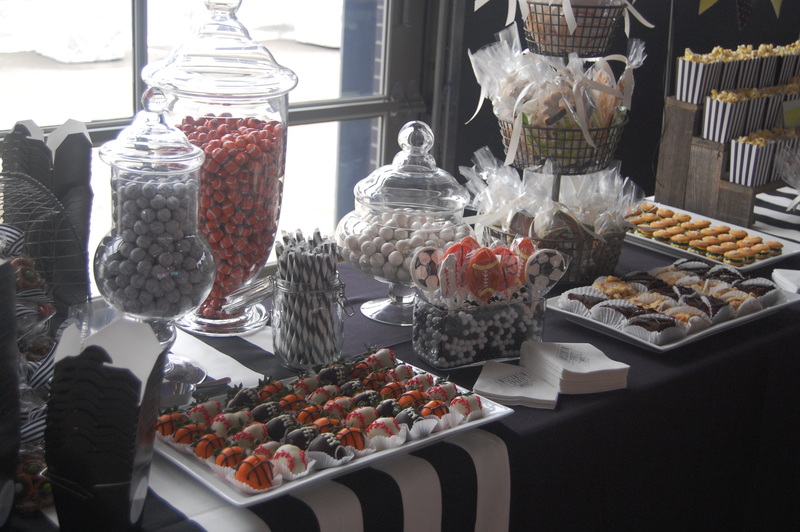 Working again with the wonderful Kate of Milwaukee’s The Home Market, we put together an enormous dessert spread including treats from Milwaukee Cupcake Company, Goodie Gourmets of Shorewood, WI, Simma’s Bakery in Wauwatosa and a few homemade treats put together and brought up from Chicago by my mom! 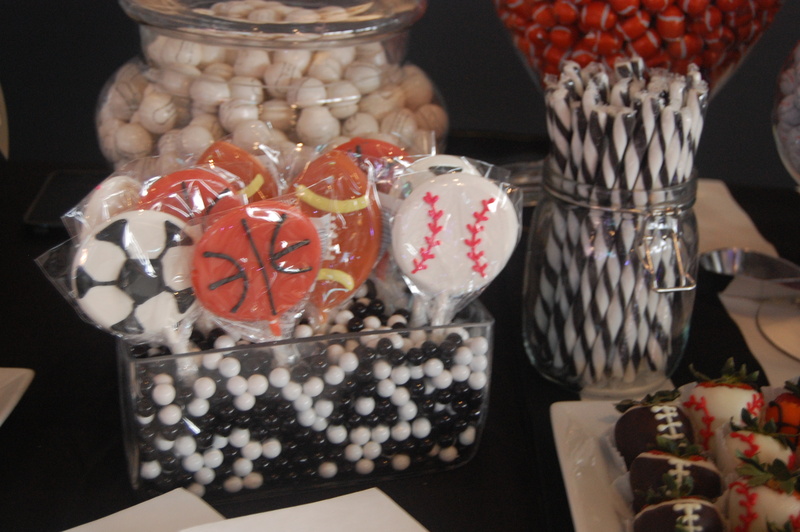 Using a modern sports theme, we put together a spread of cupcakes, gourmet popcorn, signature cookies, sports candy, little “macs,” sports themed chocolate covered strawberries, chocolate covered pretzels and more. 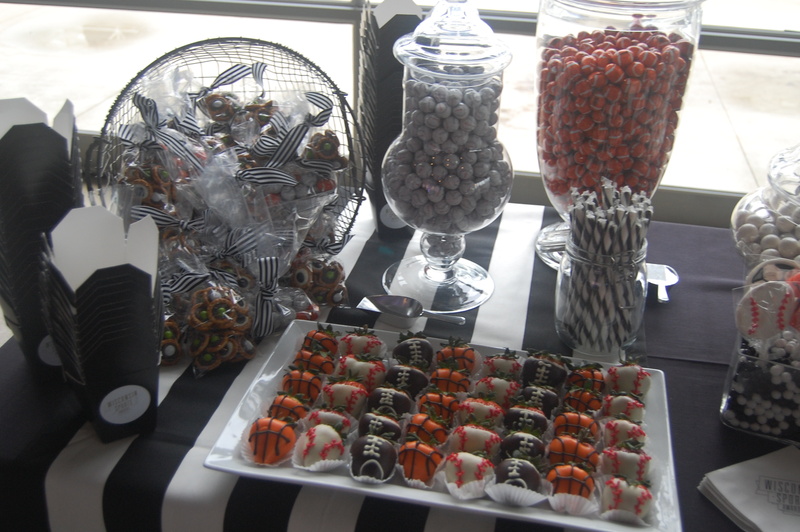 Black and white stripes with small bursts of chartreuse decorated the table to serve the almost 600 guests. 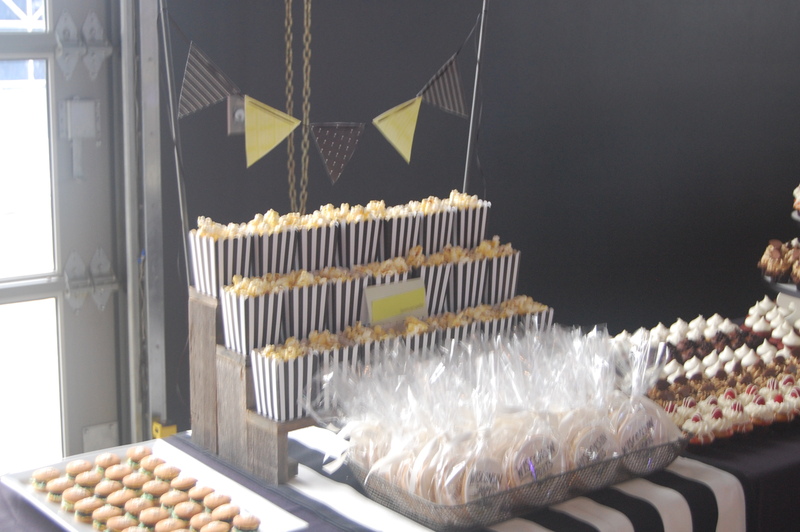 We served lemonade and caramel corn with pecans from Goodie Gourmets in Shorewood. 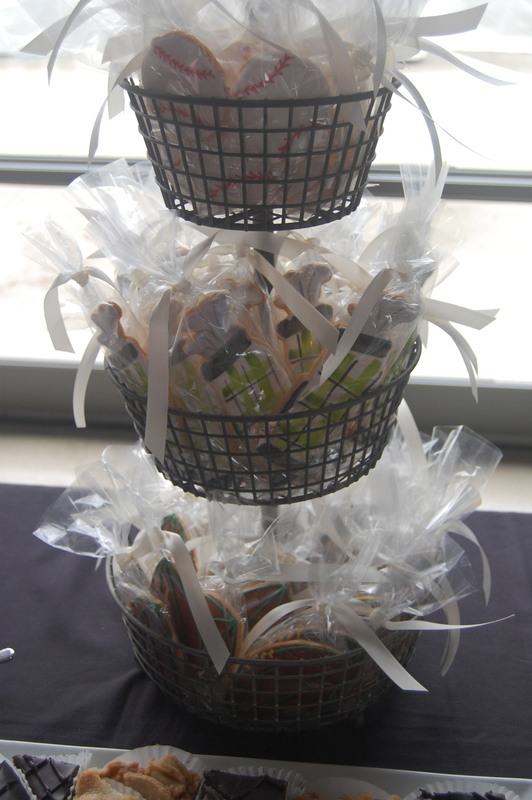 The popcorn was a huge hit with all of the guests and the first thing to run out! 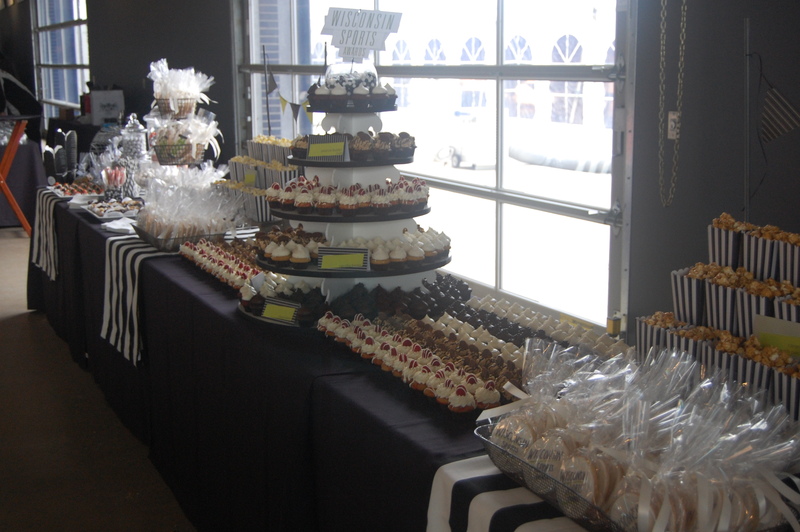 Not only were the desserts delectable, but the room transformed from warehouse to a swanky modern soiree by the hands of Kate. 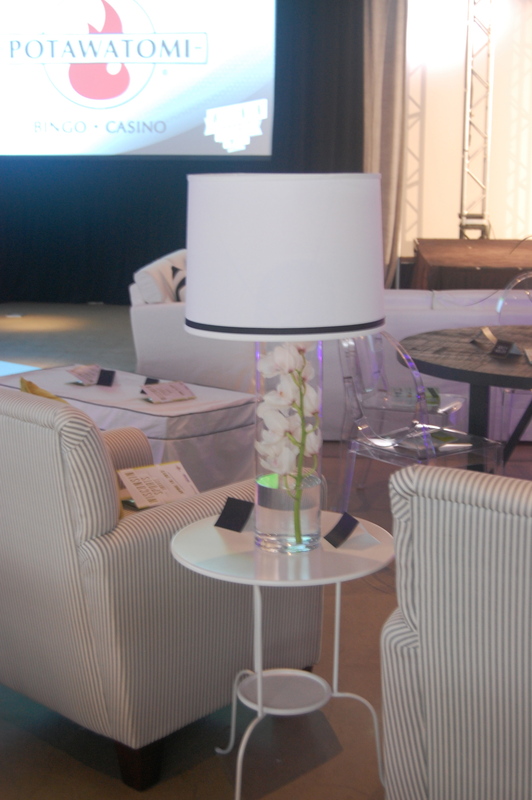 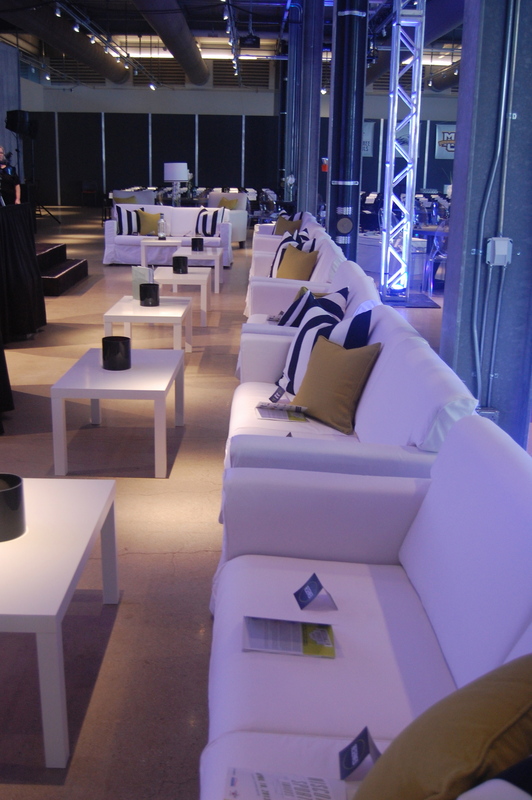 The same color scheme was dispersed throughout the room with breath-taking modern touches including lamp bases filled with orchids and water and sleek couches and chairs. 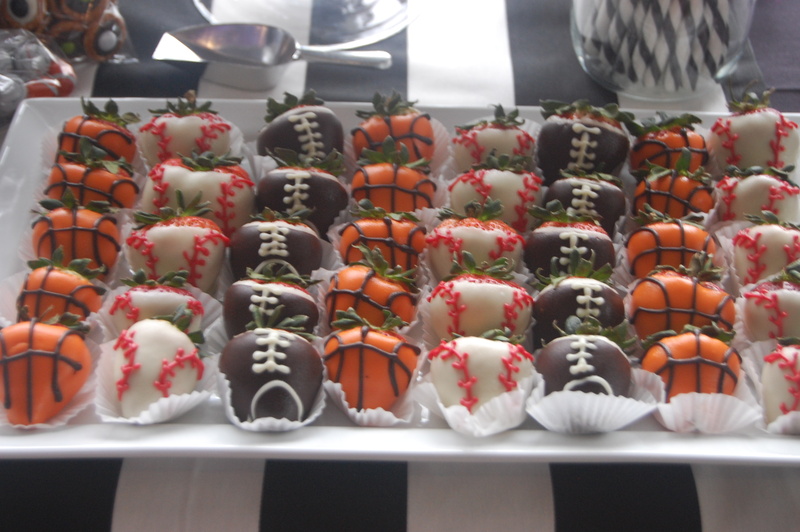 It was a wonderful experience and a great time hobnobbing with the athletes! 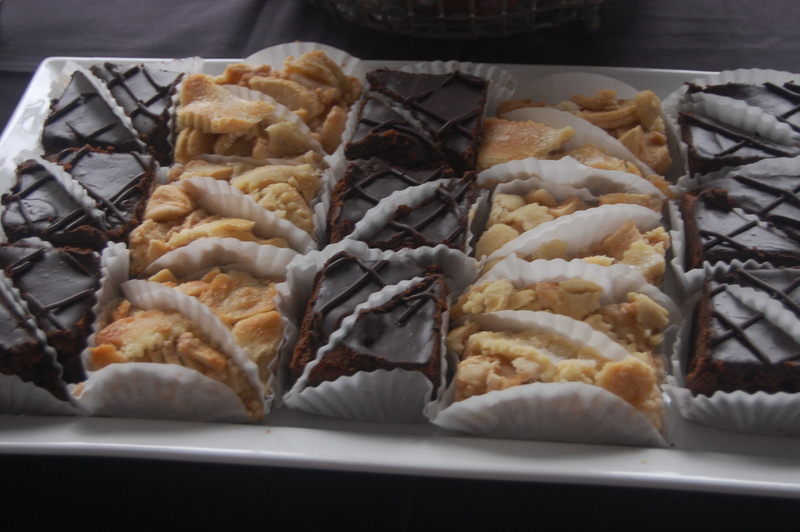 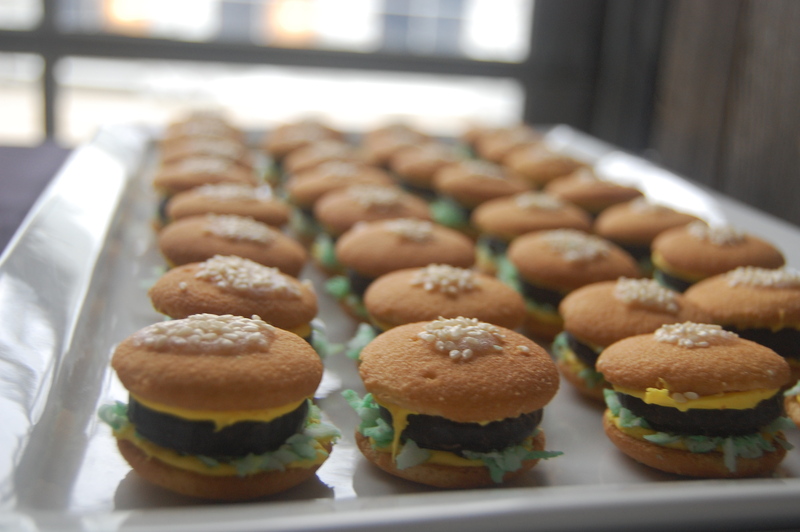 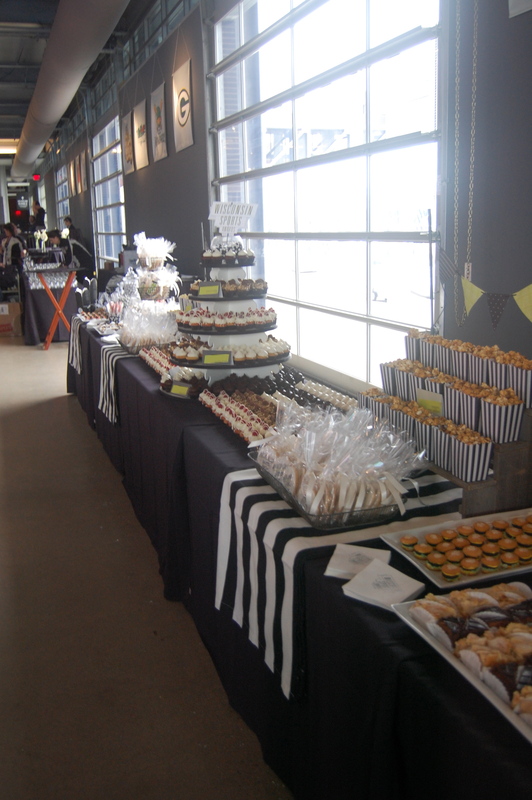 A special thanks to all of the amazing vendors for their fantastic treats!